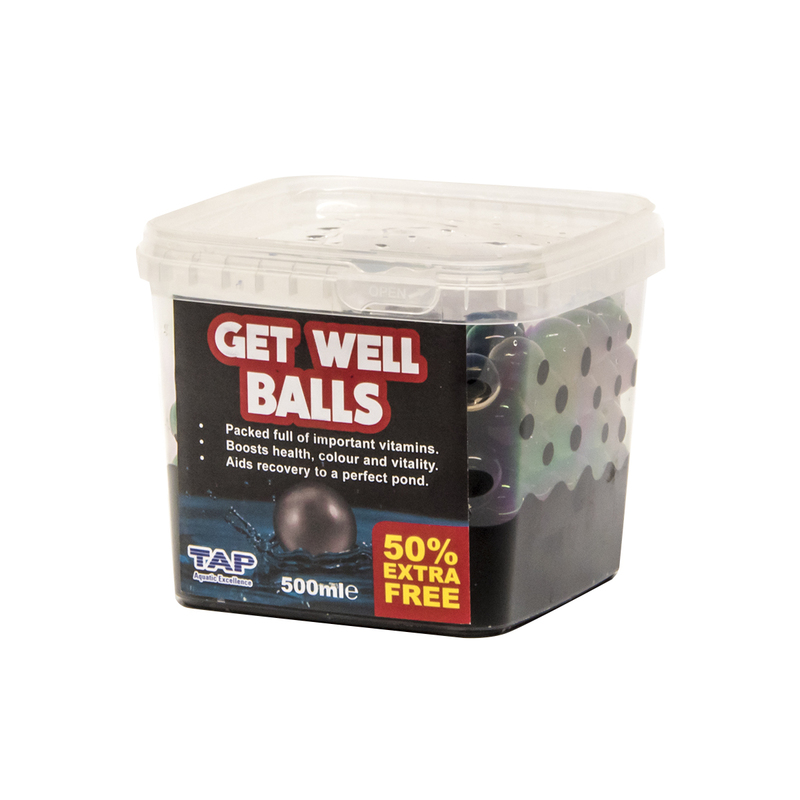 The TAP Get Well balls are packed full with 9 essential vitamins and minerals to ensure 100% pond health. Made from a biodegradable organic polymer, the pond balls have been designed to slowly release key ingredients that help with the overall health of the pond. Vitamins are a must for growth, health and vitality and most pond food is low in these essential ingredients. The Get Well balls are full of beneficial bacteria and come in a vitamin rich solution that keeps them 100% hydrated and at their best. 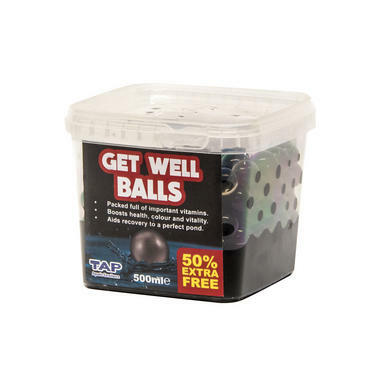 The Get Well balls are recommended to be added to a pond after trauma or disease.